“Today, we've lost a great hero. 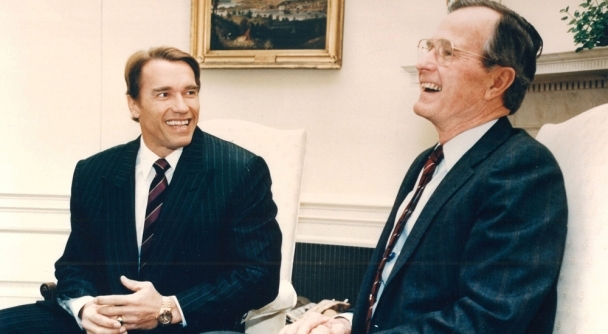 George Bush was an inspiration to all Americans and we will miss him dearly. 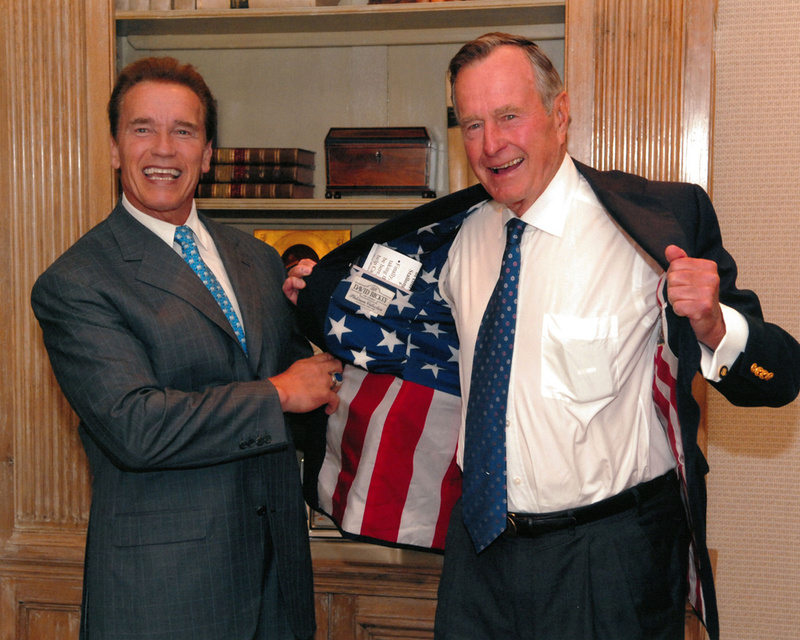 From the day he first put on his U.S. Navy flight suit and took off into the unknown, he always put his country first. He took on many jobs throughout his long career, and all shared one distinct trait: public service. 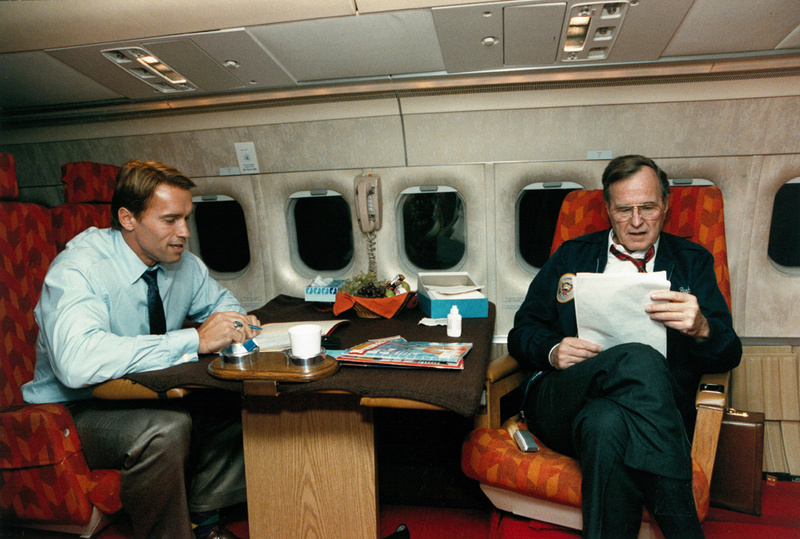 His greatest legacy is that pure American spirit, that commitment to selflessness that drove him until the very end. He was born in a time that seemed to produce an endless supply of heroes, but make no mistake: George Bush embodies everything that made the Greatest Generation great. I will always be grateful to him for his friendship, for embracing me and imparting just a fraction of his wisdom during our time together. 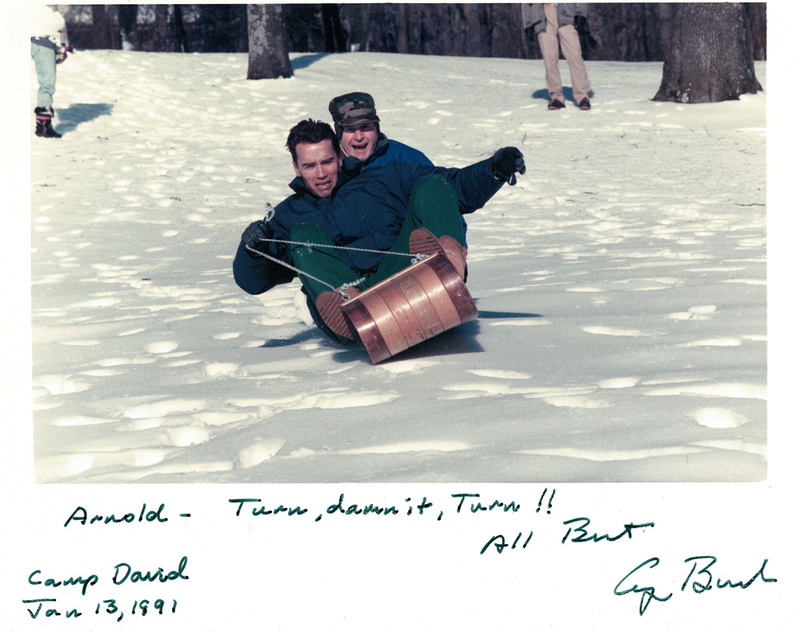 Some of my fondest memories are of sledding with him at Camp David and inspiring America to join our fitness crusade by hosting the Great American Workout with him on the White House lawn and listening to his speech advice as we flew between campaign rallies. I will never forget the pride I felt the day he appointed me Chairman of the President's Council on Physical Fitness and Sports. I loved to hear him surprise people with his wild side - explaining the pure joy he felt as he flew and jumped out of planes. I also loved to hear him explain his passion for this country - it was a true love that knew no petty boundaries or party lines. He taught me so much, but most of all, he taught me the power of serving a cause greater than yourself. 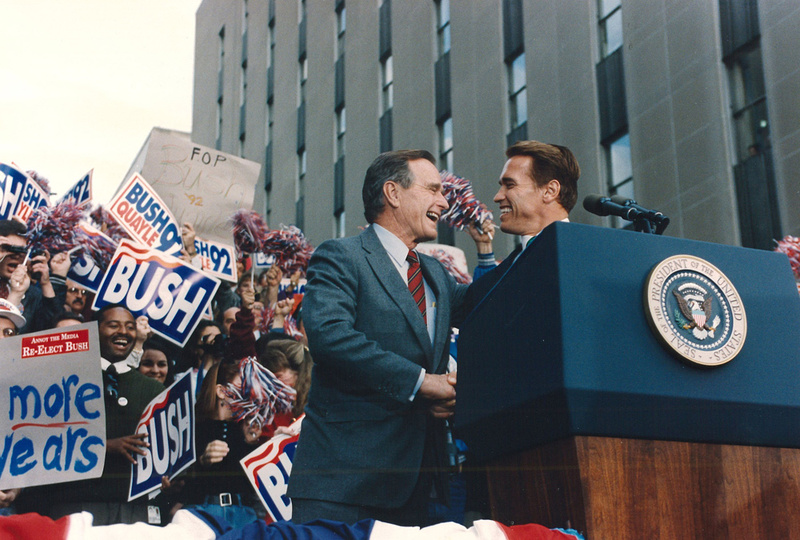 I count myself lucky for many reasons; but for the opportunity to call George Bush a mentor, I can't help but think I'm the luckiest man in America.